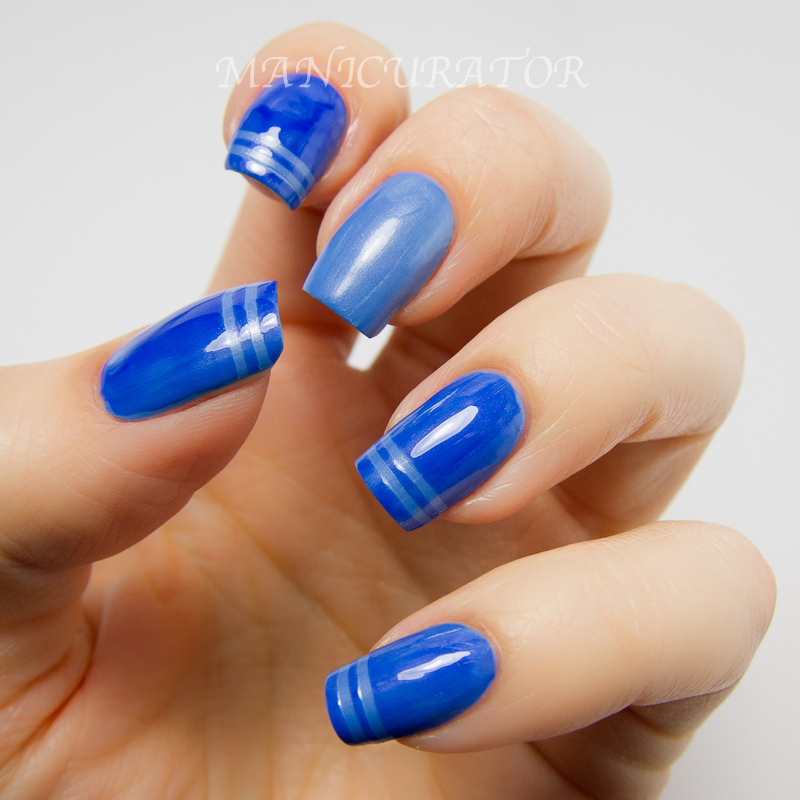 I've got a late night post showing you three of the new China Glaze Tranzition polishes. There are six in the collection available in January 2013 at fine salons and beauty supply stores nationwide. China Glaze is free of DBP, toluene, and added formaldehyde, and is never tested on animals. Facebook (@ChinaGlazeOfficial), Twitter (@ChinaGlaze) and Pinterest (pinterest.com/chinaglaze). Shape Shifter – Smokey violet shifts to dark purple. This was my easy favorite of the three I received. All of these were great formulas and opaque in ONE coat!! I love that. 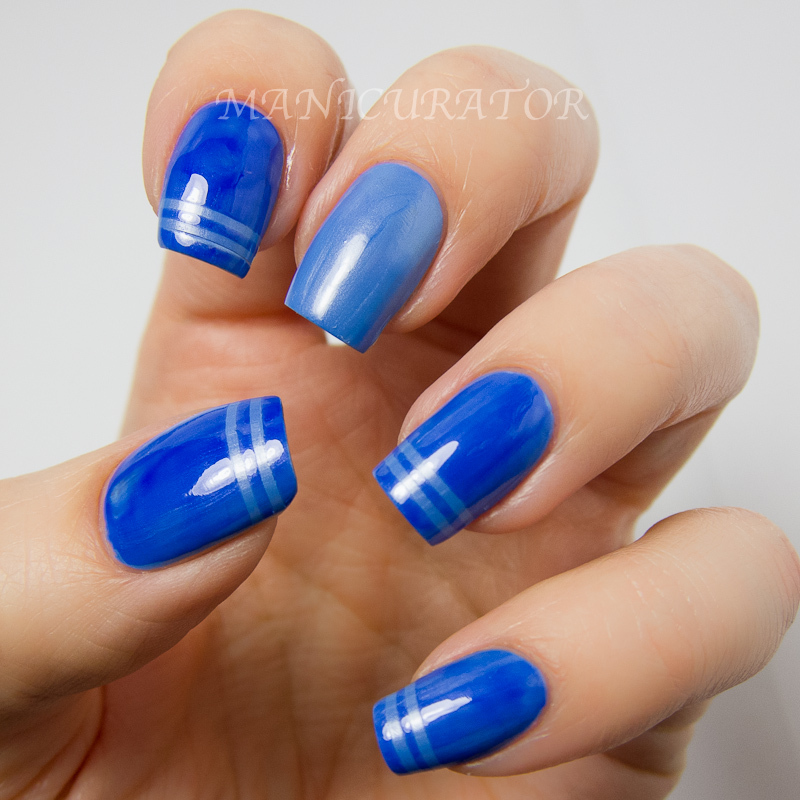 Once dry, I applied my striping tape to the tips, added top coat, lifted the tape and viola! This one worked easily and perfectly for me. Modify Me – Periwinkle blue shifts to indigo blue. My next favorite..as you can see, this one had some slight issues for me. It seemed like the top coat dragged the polish in spots and wasn't able to make a complete color change. Perhaps just user error, I will have to give it another shot. Very much like the contrast with these 2 blues. Are you going to try these out?? love!! i even like the last one! I have to say I've decided that out of all the nail sites I'm part of on FB and all the blog sites yours is my FAV. I have to ask though do you do both hands when trying out a new polish? How long do you keep that color on? Aw That means a lot to me! Thank you :) When I'm "swatching" sadly, I often do not do the other hand! Most of the time though, I will pick what I think will be my favorite..so I can do that one last and wear it for a day or so. If I'm on a swatching streak..I don't leave them on for that long. I know, it's sad..but I'd never be able to show you as much as I do if I did. 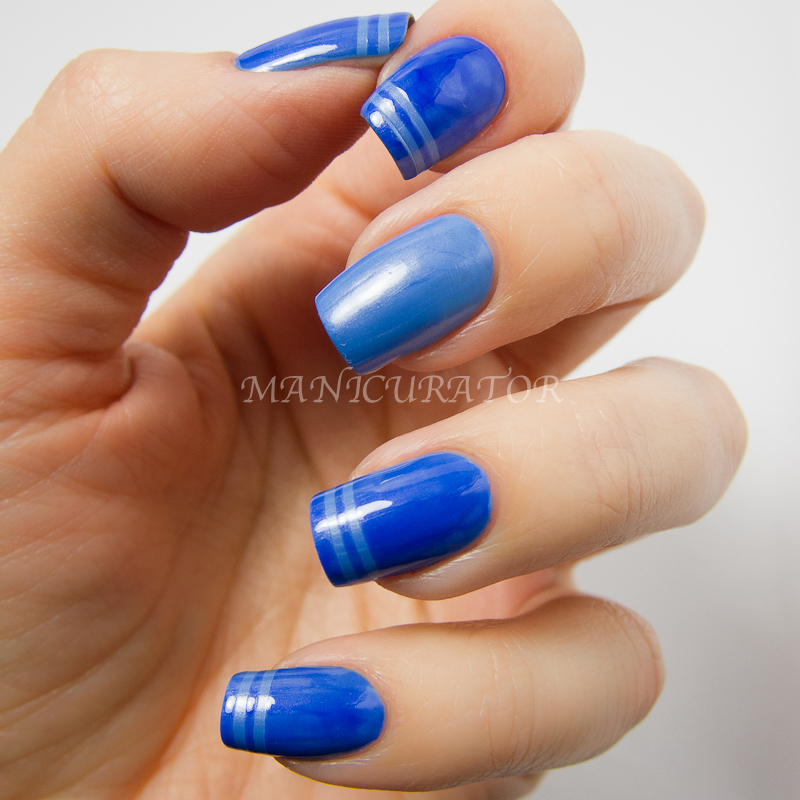 I like how these look with the striping tape! I can't wait to get these. They are so pretty and so unique! These are a must-buy. Too bad my New Year's resolution stops me right there :-( Can't stop it from going on my wish-list though!! 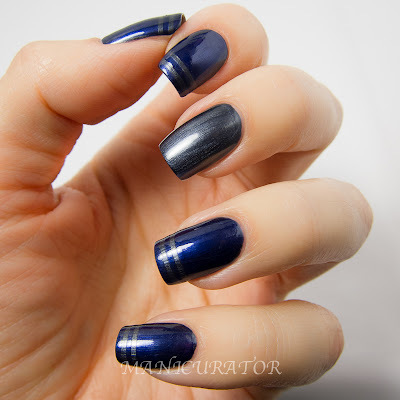 I actually love Split Perso-NAIL-ity, the effect looks like watercolor! Shape Shifter is really the show-stopper here though. Gorgeous! So does this work with any top coat or do you have to buy a special one with this collection?